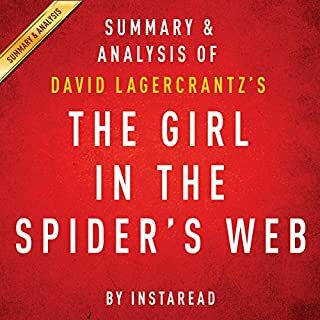 The Girl in the Spider's Web: A Lisbeth Salander Novel is the fourth novel in the Millennium Series by David Lagercrantz. 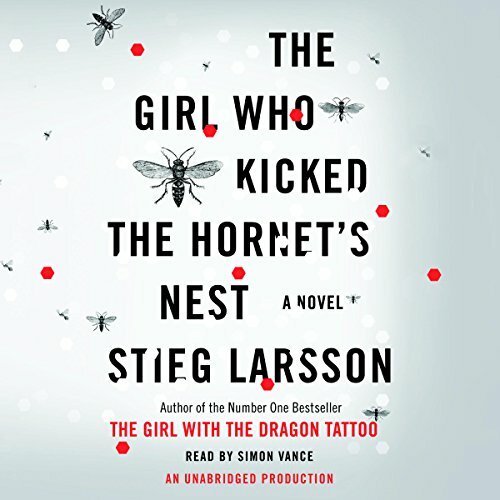 This book follows Lisbeth Salander, a Swedish hacker who, while looking into her father and sister's criminal empire, uncovers information about ties between a criminal organization, the National Security Agency (NSA), and a massive technology corporation. It's 1954. Several English nationals have defected to the USSR while a witch hunt for homosexuals rages across Britain. In these circumstances, no one is surprised when a mathematician by the name of Alan Turing is found dead in his home: It is widely assumed that he committed suicide, unable to cope with the humiliation of a criminal conviction for homosexuality. The stunning third and final novel in Stieg Larsson’s internationally best-selling trilogy. 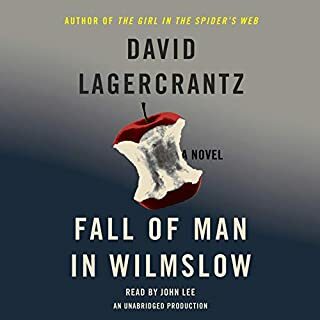 Lisbeth Salander—the heart of Larsson’s two previous novels—lies in critical condition, a bullet wound to her head, in the intensive care unit of a Swedish city hospital. She’s fighting for her life in more ways than one: if and when she recovers, she’ll be taken back to Stockholm to stand trial for three murders. With the help of her friend, journalist Mikael Blomkvist, she will not only have to prove her innocence, but also identify and denounce those in authority who have allowed the vulnerable, like herself, to suffer abuse and violence. And, on her own, she will plot revenge—against the man who tried to kill her, and the corrupt government institutions that very nearly destroyed her life. Listen to the rest of The Millennium Trilogy. Sometimes when you're done listening to a book, you just can't stand the silence that follows. This is precisely the case here. I miss Lisbeth. I miss Simon's voice. I miss thinking about what Larsson was going to do with the plot. Simon Vance is the perfect reader for this exciting conclusion to the trilogy. I'm ready to listen to it again so I can pick up more detail. Excellent. To me, the best of the three. This book continues the story of the previous two books, and I guess concludes it, since Larsson is no longer around to write more. It is a good, satisfying ending to the three, and probably the best constructed. Larsson's storytelling in all three has been a little predictable, and a little scattered, but it seemed less so in this one, up to a point. He throws completely unexpected curveballs at random, so at points you think the book is going to head in one direction, and it abruptly and irrevocably changes course. By now the main characters are developed, but even so he has some surprises for them. The tension in this one is different, though. Rather than a suspenseful mystery, it's more of a carefully plotted drama. The suspense changes from whodunnit to "how are they going to fix it." Many of the scenes are more carefully developed and have more believable intrigue and depth than in the previous two. It's better written, and better constructed, and a little more patient. There are holes. Previous characters and storylines just disappear. It feels like maybe some of the ending was supposed to happen in later books, and had to be wrapped up in this one when Larsson died, maybe using notes and scenes he left for future stories. That's just a guess. Overall, good ending to a good series, and as with the other books, this one tries to make points beyond just the story, and succeeds. And of course, the characters come alive. A good story with a purpose. You can't ask for more. And of course, Simon Vance is perfect, but he always is. Like others have said, this book, this series is wonderful. So instead of repeating other reviewers, I'd like to add that I found the characters (so very very many in this book)names at times, quite difficult to follow. Some of the names are very similar sounding. I began categorizing the names in my head: bad guys, good guys, cops, Millennium staff, etc... and for me, this helped some. 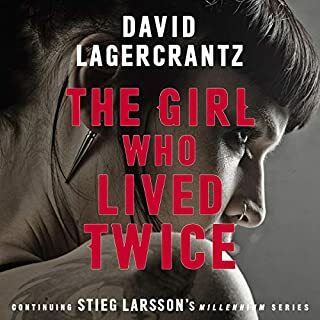 I thought it a bit disappointing that the bulk of the story was primarily about the other characters helping or hurting Salander, and not very much of Lisbeth's interactions with the other characters. I so enjoy her mind, her wit.... I wished for more of her in this part of the series. Still a terrific book though. I just finished TGWKTHN and I am nothing but pleased. My only regret is that the story is finally over. Blomkvist and Salander continue to be among my favorite characters in all of literature. 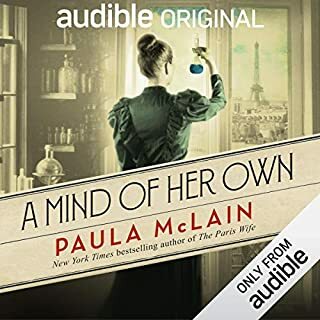 If you have not begun to read this trilogy I would highly suggest the Audible version. Simon Vance has done as good a reading as I have heard to date. Too bad it's the last Stieg Larsson book! I'm really going to miss Elizabeth Salander! Simon Vance really makes the characters come to life, plus you don't have to struggle with how you'd pronounce the Swedish names in your head! If you can, be sure to read the triology in order: Dragon Tattoo, Plays with Fire, Hornets Nest. 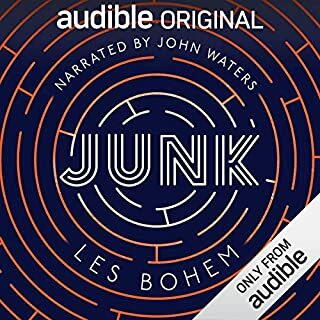 Like another reader I couldn't wait and bought the book overseas from an Australian book vendor but ended up buying the audio as well. Simon Vance is great. The first 100 pages of this book was a recap of the other two but after that I loved how they brought the Section down. The overall series was really good though I think Book two was the best. 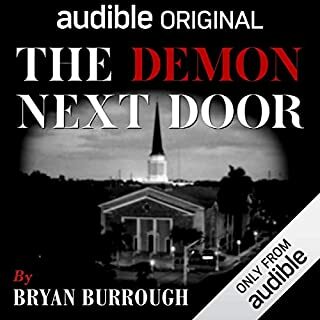 I am a longtime Audible customer with hundreds of listens and this series engaged me on every level.First and formost it is a page turner a great thriller. The depth that makes it great is Salandar's heroic journey which is the stuff of dreams the glory of retribution - especailly, for anyone who has suffered abuse-- physical, psychological violations at the hands of those entrusted to care for us. The series explores the pervasive institutional abuse of socety that can at times exact the most terrible devastation . Without one word that preaches we see through Larson's tightly woven mystery the world that hides in plain sight. The monsterous failing and insensitive bureacratic systems that can be criminal- inflicting pain and at times life long suffering to those it is asked to protect. Lisbeth is a phoenix, a revelation. The most daunting aspect of this duly praised series is the sad reality that the author did not live long enough to reap the rewards of this stunning effort. I hope that there is more of Larson's work in a computer somewhere, so that I can spend more time in Larson's light and with his flesh and blood super hero. A fantastic, gripping, and all together satisfying conclusion to the trilogy, with a superb [as always] performance by Simon Vance. What a wonderful gift Stieg Larsson has left us. If you liked the first two this final story is exceptional in its detail and plot. I loved it. All three of these books were thoroughly engrossing. Although the story moves a bit slowly at the beginning of each volume to setup the intricacies of the plot, the reader is led on a fantastic journey of intrigue, suspense, and action. I listened to all 3 books in succession, with each story becoming better than the next. Larsson does such a masterful job of creating such vivid characters in these books that I do not think I will ever forget them. Highly recommended!